For those of you who want to vacation in Bali, the island with an abundance of beauty, as well as thousands of art and culture is very unique, so it's good if you know the most basic things while on vacation to Bali, which is the general rule of customary in Bali. However, tourists and any person who comes to Bali, shall comply with all existing rules of customary in Bali. It is difficult for those who want a vacation complied fully with freedom. But the tourists who vacation in Bali, must be prepared to accept all the consequences when it comes to Bali. As a general customary rules must be obeyed by the tourists who vacation in Bali. If you are a woman who is menstruating, do not enter the shrine / temple / merajan. Because women who are menstruating are considered dirty by the beliefs and religions in Bali. If you break it, you are menstruating entering the shrine / temple, the temple was considered contaminated, and you have to perform a religious ceremony to clean the dirty nature of the temple area. Do not piss carelessly. 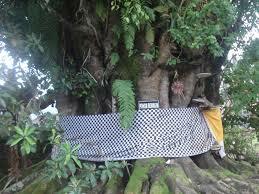 Many places in Bali that are considered sacred and haunted by the people of Bali. 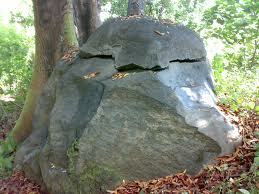 Many places in Bali is a region of the spirits / ancestors. We recommend that you do not piss around the temple, a large stone in the dressing with a cloth, large tree in the dressing with the cloth, there is the area that the offerings / tinkling, in front of a temple, in the river / moat that no temple, around the grave. If you violate, Balinese people believe something bad will happen to you. If something bad happens, you have to go back to the place it is and pray for forgiveness when you break the surrounding area. Do not say dirty, do not say rude, not to say slovenly, do not yell temple area, in the shrine area, in the area of the cemetery, and the places that are considered haunted by the people of Bali. If that is done, then you will interfere with ease in the spirit of ancestors who were around that place. When entering the temple area / other holy places, you should wear decent clothes. Keep the chest and the belly button is not visible. If you enter the temple, you have to wear gloves. If not, you will be viewed cynically by those who see you. You'll probably get yelled at. Do not pass in front of people who are being put cymbals, you try to stay away from him. It's time for people to pray for peace. Do not step on the offerings / tinkling in front of a store, even if it is on the pavement. So be careful if you are walking. 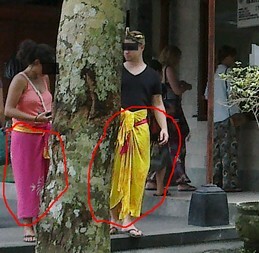 If you want to take pictures at a religious ceremony in Bali, do not turn on the flash on the camera. It would interfere with those who are praying. In Bali, there is often a ceremony that crossed the road, the convoy of the religious ceremonies often involve many people, resulting in congestion on the roads. Do not turn on the horn, you have to be patient. When Nyepi day, you should not be out of the house, should not start a fire, should not be traveling. Those are some general things you must obey while on vacation and was in Bali. All you have to bear the consequences of their own while in Bali.